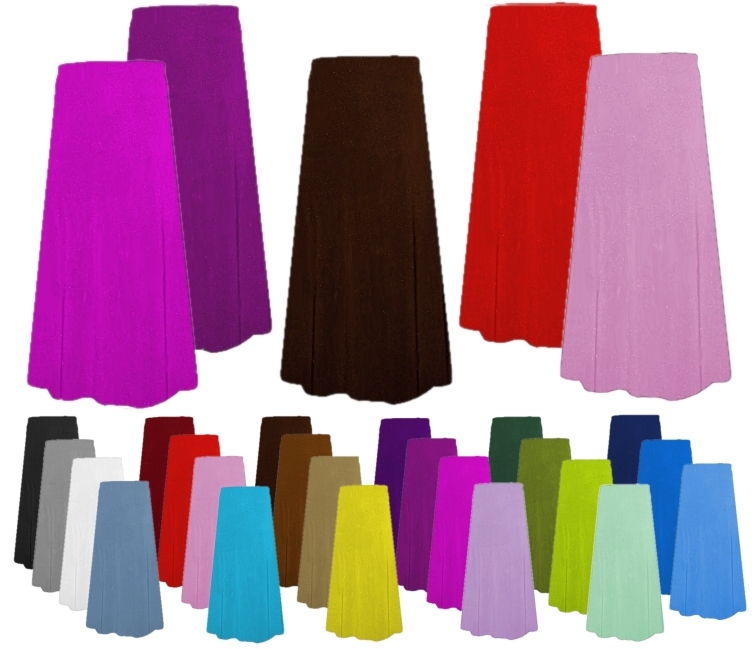 These are plain solid color skirts, in either slinky or poly/stretch velvet. They come in sizes Large up to 9x. They have an elastic waist, and are a-line (swing) style. You can choose the hip size & length below.